Taipei, Jan. 14 (CNA) A fireworks display will take place in Kinmen County and in nearby Xiamen in China simultaneously on Feb. 5 to celebrate the Lunar New Year, the offshore county's Tourism Department said in a statement Monday. This year's fireworks will be held on the first day of the Lunar New Year and is part of an annual event conducted jointly between the two sides, the department said. The display will be organized by the team that designed the most recent New Year's Eve countdown fireworks at the Taipei 101 skyscraper, and the scale of the project is expected to be more spectacular than in previous years, the department said. The Kinmen County government said the team responsible for organizing the fireworks is still planning the show and is not yet able to say how many firework rounds will be shot this year. As many as 2,234 fireworks were said to be set off last year from the waterfront near Shanglin Temple in Kinmen's Lieyu Township, where there is a direct view of Xiamen. 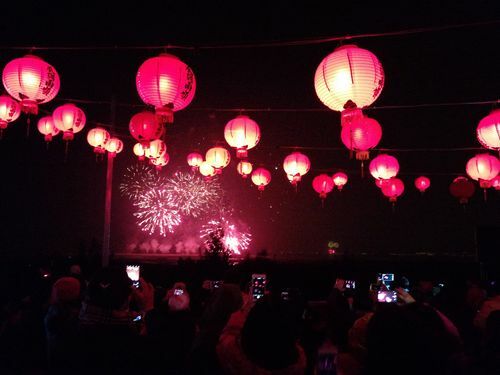 The same location is also where the fireworks from the Kinmen side is expected to be set off this year, while fireworks on the Chinese side will set off from Xiamen, less than 5 kilometers away across a waterway. Though just a few kilometers from China, Kinmen County is about 190 kilometers from the main island of Taiwan, with the two separated by the Taiwan Strait. Meanwhile, a shuttle bus service will be available to take visitors to the fireworks area from Jiugong Pier in Lieyu Township, the department said. The fireworks will be set off at 8 p.m. Feb. 5. The event will also feature performances, and hot food will be available.